Ever wondered why that celebrity hair reference pic you took into your hairstylist didn't look as good on you? Yeah, it could be because of the perfect bone structure and thousands of styling dollars at that celeb's disposal, but it also could be because of a fundamental difference between you: her face isn't shaped like yours. Working with a round face photo when your face is heart-shaped could be the reason you haven't found a hairstyle you want to keep. As previously explained, there's an easy to way to figure this out: take an old lipstick and trace around the outline of your face (excluding your ears), then look in the mirror and see what shape you see. 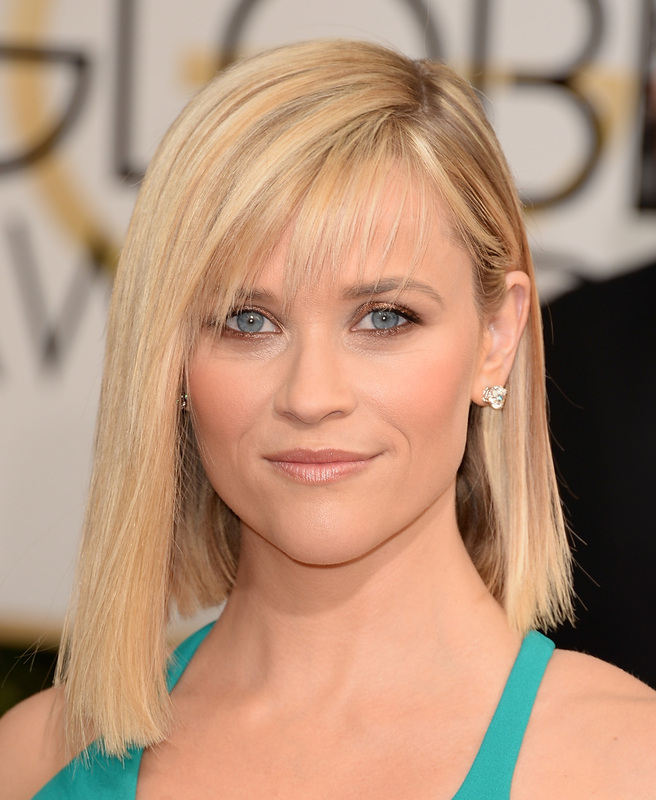 Reese Witherspoon is a proud ambassador of the heart-shaped face — that is, a face that starts off broadly in the forehead, tapers slightly at the cheekbones and finishes with a smaller chin. Since there is a lot of symmetry in the heart shape, working an over-the-shoulder look with hair swept to one side helps to create a soft look. Make the lob work for you: "Adding curls at the shoulder area helps create movement and better flow, softening the pointed chin area," says celeb hairstylist Billy Lowe. Heavy (blunt) bangs are a no-go with this shape, as they work against your natural part line. Side swept bangs are a better option, as they distract the eye from a wider forehead and soften a pointed chin. A sleek ponytail (think Kourtney Kardashian) or a chic braid will work to your advantage. “Curling your hair away from your face starting at your cheekbones is a great look,” Peterson says.